Stryker Rejuvenate and ABG II Modular-Neck Stems- In July 2012, Stryker issued a voluntary recall of these hip implants after reports of fretting, corrosion, and early failure among patients. 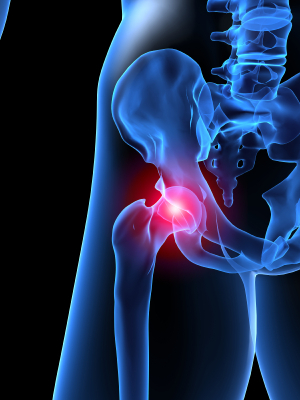 Typically hip implants last on average about 15 years; however, a greater percentage of these Stryker hip implants were failing within the first 5 years causing patients to have to undergo complex revision surgeries. Typically, these Stryker hip implants are comprised of four component parts- the stem, neck, ball, and socket. Due to corrosive breakdown of the chromium/cobalt metal neck and the titanium coated metal stem, patients are at risk for developing a high level of heavy metals such as cobalt and chromium in the surrounding tissue and bloodstream. Heavy metals in the tissue and blood can cause adverse side effects that include metallosis (a build-up of metallic debris), necrosis (the cell death of affected tissues), and osteolysis (the death of bone) – any of which can necessitate revision surgery. After these Stryker implant are surgically placed, postoperative x-rays may appear normal and show the implant as being properly fitted and aligned. Within a few weeks, patients may encounter pain in the groin and surrounding area and limited mobility. With longer exposure to heavy metals from these implants, patients may be at an increased risk of bone fractures and the formation of pseudo-tumors. Revision surgery to remove the Stryker implants may be complicated due to the difficulty in removing the stem component that is deeply embedded into the femur bone. Unfortunately, the FDA approved these devices in 2008 and 2009 under their fast-track 510K approval process which meant that Stryker did not have to provide clinical studies on safety and efficacy. These hip implants were basically grandfathered in as the FDA reasoned that the two implant systems were similar to the Wright Medical Profemur Hip Implant that was already on the market. Unfortunately, later reports indicated that a high number of patients with the Wright Medical Profemur Hip Implant were forced to under revision surgeries to remove the failing implants. Today, many patients are considering legal action for the damages they incurred as a result of these implants. Patients need to identify what type of implant they received. This information is best obtained from the product identification stickers that are attached to the patient’s surgical chart. With these Stryker hip implants, the important components are generally the neck and stem. Patients may still have a good case if the implanted neck and stem are Stryker Rejuvenate or ABG II components, even if the ball and socket components are from a different product line. Moreover, patients may be incorrectly told by their doctors that they did not receive a Stryker Rejuvenate or ABG II Hip Implant in circumstances where the ball and socket are ADM or another product line. These patients may still have a case if they still received a Stryker Rejuvenate or ABG II neck and stem, regardless of the product line of the ball and socket. Remember, with the Stryker Rejuvenate or ABG II hip implant, it is typically the neck and stem that starts to corrode and cause complications.